In the Ulyanovsk (Barataevka) airport passengers can use a convenient Business room equipped with an air-conditioning system, spacious waiting room and cushioned furniture. 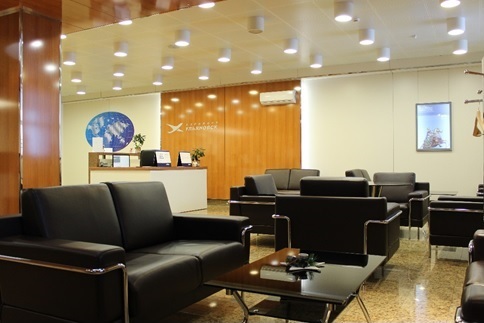 The business room is located on the first floor in the right side of the air terminal building and is open 24/7. Economy class passengers who wish to use the business room may be served for cash in line with schedule rates. Delivery of accompanying persons / meeters to the boarding place on request. In case of using the second room (VIP room) the double tariff is collected. If the passenger is paying in cash then the rate contains the VAT.